Added protection for your team both day and night. 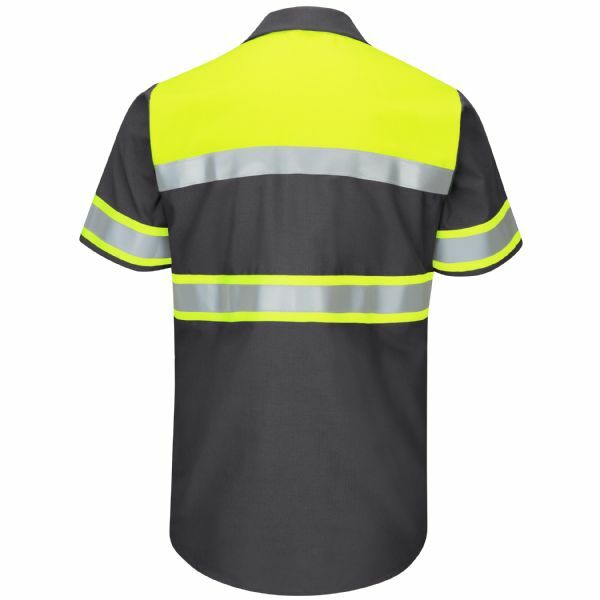 Front and back reflective striping with bright fluorescent yellow/green provides 360 degree visibility, while UPF 40 offers protection against the sun. The Ripstop fabric is 75% stronger than standard poplin workwear, and 15% lighter than polyester. 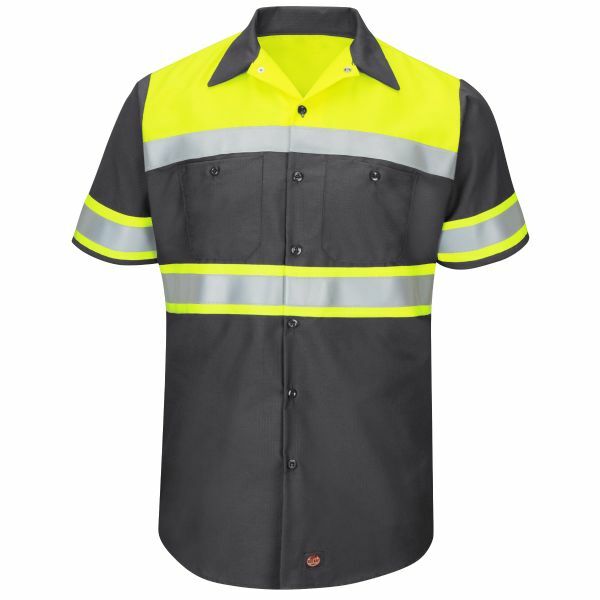 And the color blocking helps hide common stains without sacrificing visibility. ANSI/ISEA 107-2015 Type O, Class 1 Compliant.